ROLLING PRAIRIE, Ind. 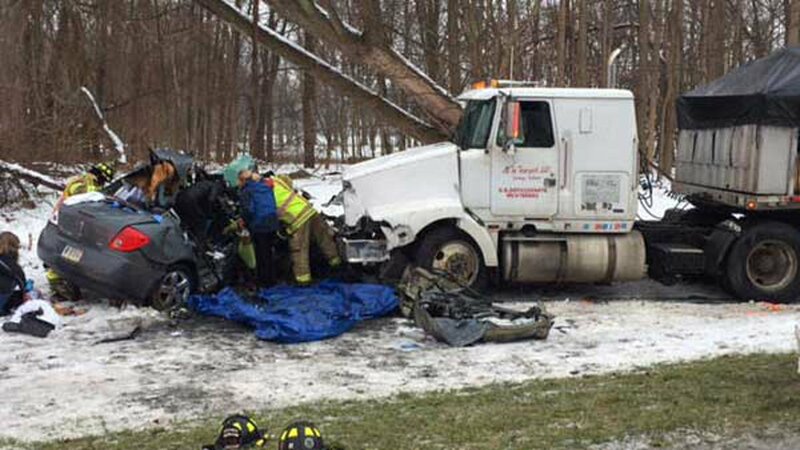 (WLS) -- Three people killed in a crash Friday morning on U.S. 20 in La Porte County, Ind., were identified. The crash was the second triple-fatal to occur on U.S. 20 in the last two months, the sheriff's office said. Judith Peachey, 22, of Goshen, Ind., Lani Nace, 17, and Rosalie Koehn, both of Greensburg, Kan., were identified Friday afternoon to the La Porte County Coroner's Office. Koehn was believed to be in her teens. Emergency crews from La Porte County and the Kankakee Township Fire Department responded just after 7 a.m. to a report of a crash on U.S. 20 near County Road 300 East, which is about a mile west of Rolling Prairie, Ind. and 20 miles west of South Bend, Ind. A gray 2008 Pontiac was heading west on U.S. 20 in the passing lane when Peachey lost control of the vehicle, which slid into the eastbound lanes, the sheriff's office said. 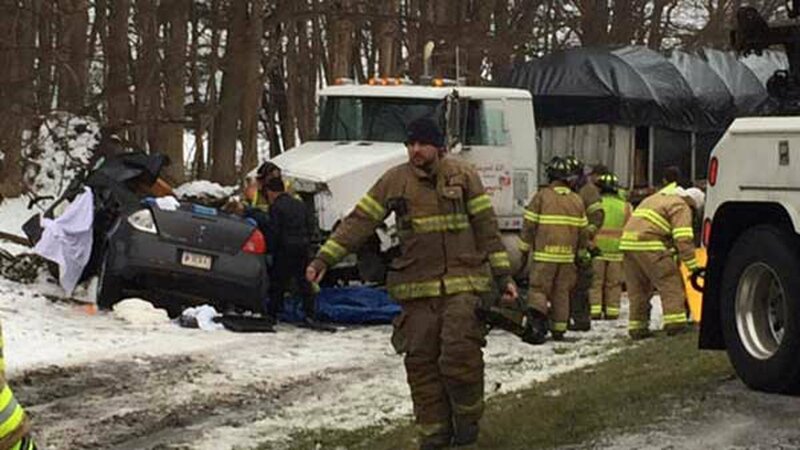 The passenger side of the Pontiac struck the front of a white 1992 Volvo semi tractor-trailer. Peachey, Nace and Koehn died at the scene, authorities said. La Porte County Coroner Robert Cutler said they died of massive blunt force trauma. The 41-year-old male semi driver from Mishawaka, Ind., was not hurt. He was driving a semi All In Transport, which is based in Hobart, Ind. The Indiana Department of Transportation said the semi was hauling steel coils. Alcohol and drugs were not a factor in the crash, the sheriff's office said. Although they had not yet determined what caused Peachey to lose control of the vehicle, investigators said U.S. 20 was covered in slush and slick at the time of the crash. The sheriff's office said on Jan. 17, three other people were killed in a crash on U.S. 20, about three miles west of where Friday's crash occurred. Late on Jan. 16, two people were killed in a crash on U.S. 20.